A 1080 x 1080 px sized mockup showing a picture frame (white or black) on a wall. Use the PSD file’s smart layer to insert your own art and designs. 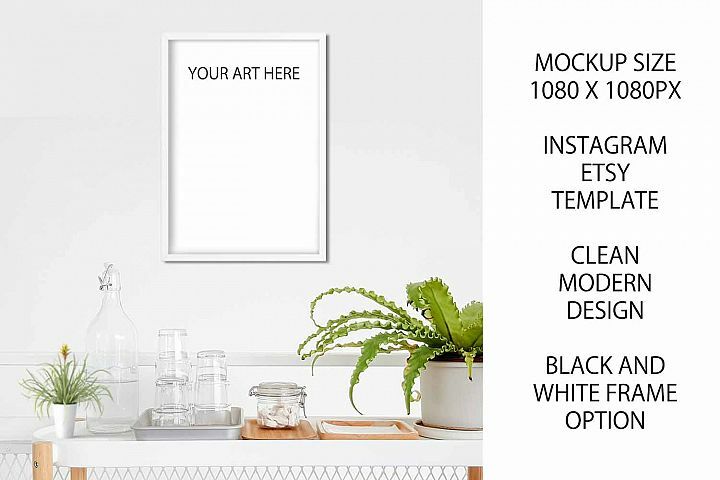 Easy to use as a quick mockup to display your art for online sales!